Ford has created an instant classic in its new ST200 hot hatch. Increases in both power and torque put the Ford Fiesta ST200 into a class of its own in the compact hot hatch sector. We've driven the pocket rocket. Only subtle differences mark the Ford Fiesta ST200 out from the regular ST, the most obvious of which is the colour; Storm Grey is a new hue and is exclusive to this most potent version of the Blue Oval's bite-sized hot hatch. Machined matt black five-spoke alloy wheels fill the arches really well and, along with the revised suspension, leave the ST200 sitting really well when parked up. Beefed up bumpers and flared sills, along with a purposeful looking diffuser and rear spoiler, point to the fact that this is no ordinary Fiesta. Open the long door and ease yourself into the figure hugging sports seats and you immediately get the sensation that this is built for speed. For people of average height, the seating position and ergonomics are good. The layout and look of the cabin doesn't differ from regular Fiesta STs: only an ST200 badge on the centre console tells you that you're in the most potent version. In a world of increasingly large infotainment screens the unit in the Fiesta looks small and dated, but the Sony stereo system is of good quality. To be honest, the engine sounds so good you'll rarely want to listen to anything else. As suggested by the Fiesta ST200 name, Ford has turned up the wick to 200hp, which is a ten per cent increase, while torque has been upped by 20 per cent to 290Nm. The latter is especially noticeable when rolling on the power from low speed. Open the throttle fully in second gear and it surges forward with a sonorous engine note that is highly addictive. An overboost function on the turbocharger delivers an additional 15hp and 30Nm for up to 20 seconds. Under heavy acceleration from a standing start there is a hint of torque steer, but by and large the upgraded suspension and electrically assisted power steering keeps the ST200 pointing straight and true. The steering feels perfectly weighted for the car and even in the wet gives you real confidence when turning into a corner at speed. It helps that it sits 15mm lower than a regular Fiesta and there's 27 per cent more roll stiffness at the back. Up front, the upgraded anti-roll bar has been increased to 21mm in diameter and damper settings have also been tweaked. On back roads it copes impressively well, with the suspension being sufficiently sprung but well damped. For everyday use the ride is a little on the firm side but you won't be bounced around at higher speeds, and those Recaro sports seats hold you in place very well. It's hard to find another hot hatch on the market that is quite as addictive and involving to drive as the Fiesta ST200 is. We already loved the regular Fiesta ST, but this new version moves the bar even higher. Irish pricing is still being confirmed, but expect the ST200 to carry a premium of a few thousand Euro over the current range-topping Fiesta ST-3. That additional cost does bear some tasty fruits though, especially for the die-hard Ford enthusiast. Visually there is that unique colour scheme and model-specific alloy wheels, although inside it differs very little from the regular Fiesta ST. 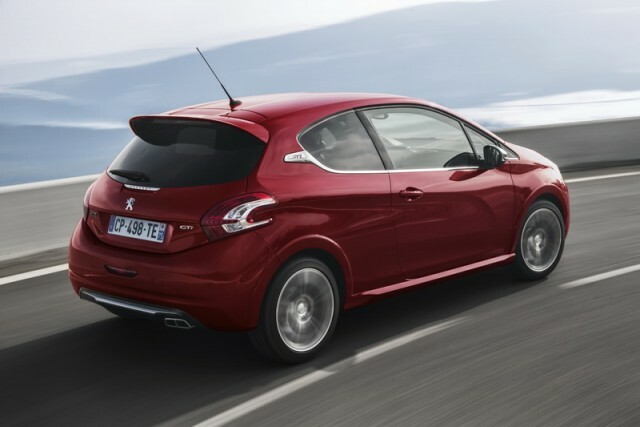 There is also the fact that the ST200 is only being produced in limited numbers. This, combined with its impressive performance, means that it is sure to become a sought-after car in the coming years. Who said you couldn't improve on perfection? The already superb Fiesta ST is now even better thanks to the ST200 upgrades and it is sure to become one of the truly iconic hot hatches. The increases in performance, along with the retuned suspension, make for a car that you will find yourself looking for an excuse to simply go out and drive. Peugeot 208 GTi vs. Ford Fiesta ST200: a deceptively quick car that's subtle to look at; interior isn't to everyone's taste, though. 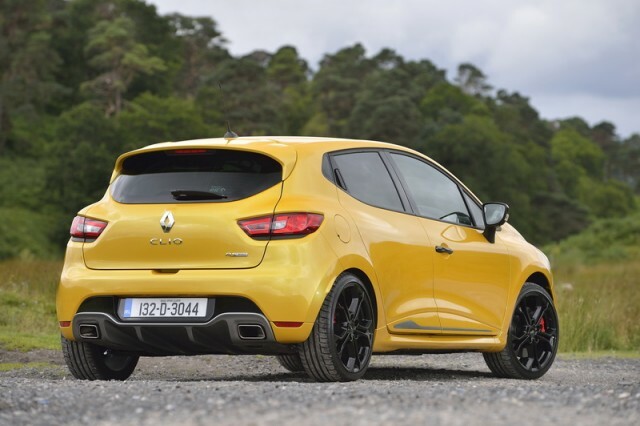 Clio Renaultsport 200 Turbo vs. Ford Fiesta ST200: auto-only transmission and turbocharging upsets purists, but it remains a fast car. 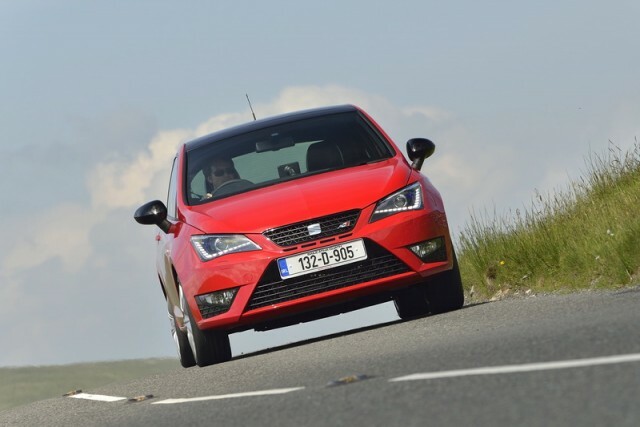 SEAT Ibiza Cupra vs. Ford Fiesta ST200: makes plenty of power but doesn't have the chassis engagement of others.